Hairdresser for Hospitalised, Elderly and House Bound People. Mobile hairdressing services continue to soar in global popularity. From the latest haircut styles to coloring and perms, mobile hairdressers have years of experience and are committed to excellence in all jobs. They also have the tools and expertise to make you look and feel great. No truer is this than when it comes to clients that are elderly, homebound, or recently hospitalized. Due to the immobility of these individuals, they simply cannot make it to their local hair salons or stylists. As a result, they rely on mobile hairstylists to cut their hair at home or even at hospitals or private healthcare centers. In the past, mobile hairdressers mainly facilitated busy professionals and clients. While this is still true, they now offer a full suite of services catered for senior citizens and elderly patients. This includes haircuts, along with blow drying, perms, coloring, and even hair dying. As always, mobile stylists are punctual and will work around a range of schedules. Their services have also received stellar reviews from past and present clients. At cost-affordable rates, mobile hairstyling services are guaranteed to make patients look and feel fresh. In fact, these services not only brighten up their day, but can encourage them to be happy despite their current predicaments. Due to the growing demand of mobile hairdressing services, it is advised to make appointments as soon as possible. Most slots get filled up pretty fast during the week. Whether for homebound or elderly citizens, mobile hairdressers truly care about their customers. In fact, they treat each customer like family, and help them select a style that best meet their needs. Just because many elderly citizens are homebound or in wheelchairs does not mean they are permanently immobilized. In fact, the right haircut can spruce up their look, while making them feel wonderful about themselves and life in nature. Even with busy weekly schedules, most hairdressers are also willing to clear some slots just to make elderly customers happy. Mobile hairdressers also facilitate special needs customers. These are usually customers that are wheelchair or bedbound. As always, mobile stylists will work with caretakers to ensure their client needs are fully met across the board. Similarly, they will work with nurses and other care providers provide the best haircuts and styles for their customers. 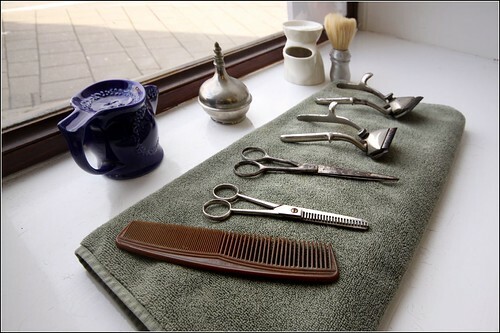 Whether as surprise gifts or simple hygiene, mobile hairdressers are always available for elderly patients. All it takes is one phone call or e-mail to secure their services in a timely and professional manner. For more information please click here.